As gas prices skyrocket we are all paying a lot more at the pump. But, knowing a handful of tips and tricks can save you a bundle every time you fill up. Gas prices are typically lower on Tuesdays and Wednesdays. It makes sense, when you think that most people fill up on Thursday and Friday as pay day rolls in and they prepare for the weekend. Or, they stop at the station while running weekend errands. If not that, then Monday morning they fill up to start their week with a full tank. Tuesdays and Wednesdays are slower days and therefore, prices drop slightly. GasBuddy.com is a great resource for letting you know the gas prices at stations near you. They track prices nationwide and have a mobile app. Download their mobile app for iPhone, Android or Windows phones so you can always find the station with the lowest prices near you. I am not a warehouse club fan, but their everyday gas prices are lower than their competitors. Granted, using coupons at a different station might yield even deeper discounts, but for those that want a quick and easy gas pump solution, a warehouse club might fit the bill. Two words of caution before you run out and buy a membership. First, be sure that you’ll fill up often enough to more than pay for the membership. For instance, if you save $0.05 per gallon and get 20 gallons of gas per week, that’s $1 per week of savings. You’d have to fill up 50 times in a year to break even on the cost of the $50 membership. Second, have you noticed that warehouse clubs don’t post their gas prices on signs like other stations? You can’t tell how much gas is at a warehouse club unless you drive up to the pump and look. By then, you might decide that it isn’t worth the effort to go elsewhere, even if the savings isn’t that great. Gas coupons typically save you $0.05 – $0.10 off per gallon of gas. If you make a habit of keeping a few coupons in your wallet or glove compartment, then you’ll always have one on hand when you go to the gas station. Don’t worry about needing to stop at a particular station to use their coupon, as most gas stations accept competitor’s coupons. I’d recommend taking 15 minutes to make a couple phone calls to stations in your area. Ask if they accept competitor’s coupons. If so, what the maximum competitor’s discount is that they’ll honor. Plus, some stations accept multiple coupons per fill up. Ask if they do that at stations near you and you may be able to use a couple of the $0.05 off per gallon coupons at one time, on the same fill up. Gas coupons abound. I get them mailed to me. I find them on the back of grocery store receipts. I get them in the newspaper; in my area the first and third Wednesdays are the best days to find high-value gas station coupons in the paper. I can print them from gas stations’ websites. I get them emailed to me after joining gas stations’ email list. Some stations have joined the 21st century and will text you coupons when you join their email list. Most every station has some sort of loyalty program whereby you earn rewards or discounts when you purchase gas and/or products from them. Since there are a plethora of these programs, I can’t explain them each in detail (plus terms and conditions frequently change), but listen up for some general tips on how to maximize your participation. Many credit and debit cards offer you some sort of cash back when you buy gas. Certain cards are tied to specific gas stations, while others are not. This is a potentially dangerous option for those that aren’t hyper-disciplined in their finances, as the lure of cash back from gas purchases might tempt you into a new credit card that results in thousands of dollars in additional debt. That’s a bad idea. However, this approach makes sense for the hyper-disciplined folks that pay their bill every month or those that use a debit card to earn cash back on gas station purchases. Many options exist in this credit card and debit card reward space. CreditCards.com is a solid resource to find credit cards that pay rewards for gas purchases. PerkStreet Financial is an online bank whose debit card pays you cash back. Many gas stations have their own branded cards, which you’ll need to evaluate for yourself. The beauty of this approach is that you can combine it with other cost-saving measures. You can buy gas on Tuesday or Wednesday, plus use coupons, plus earn cash back. 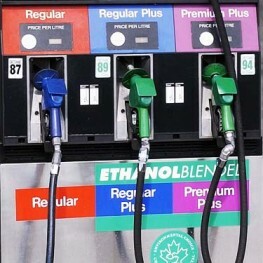 Some gas stations have rewards program where you earn points or a percentage back for purchases you make at the pump and in-store. Near me, SuperAmerica has its Speedy Rewards program, for instance. One way to maximize earnings in this type of program is to buy a gift card for the gas station, which typically earns you bonus points. Then, use that gift card to pay for your gas. You earn a regular amount of points for buying gas, but you’ve maximized it by having earned bonus points on the gift card purchase. An ever increasing number of gas stations have discount programs that are connected to grocery stores. These programs, like Roundy’s FuelPerks near me, offer you a discount per gallon of gas based on how much and/or what you buy at the grocery store. In the case of FuelPerks you earn $0.05 off per gallon for every $50 in groceries you buy. Maximize your earnings in this type of program by watching for grocery items that are marked “bonus earnings” or something similar. When you buy these products during their “bonus earnings” promotion you will earn an additional amount off per gallon for buying the item, plus your regular $0.05 off for every $50 you spend (or whatever your regular earnings amount is). Also, be on the watch in the grocery store for gift cards to the local gas station. BP is the station tied to Roundy’s FuelPerks program and Roundy’s sells BP gift cards within their store. I am able to buy a BP gift card at a Roundy’s store, earn money off per gallon for having made the gift card purchase on top of whatever earnings I have from my grocery purchases.